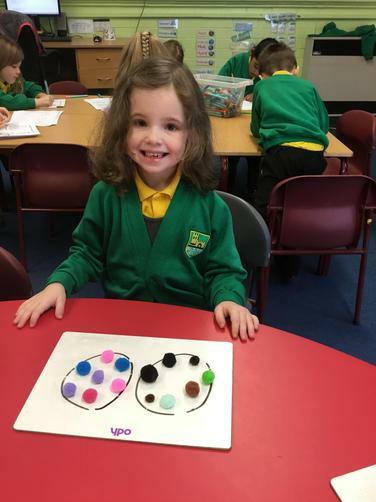 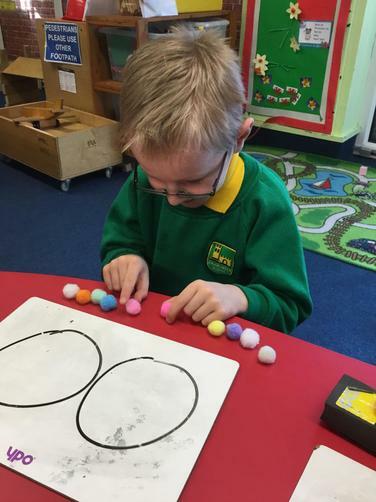 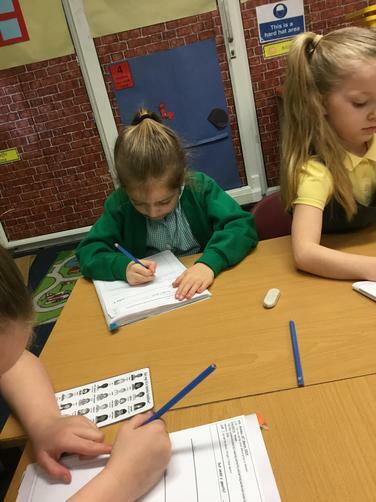 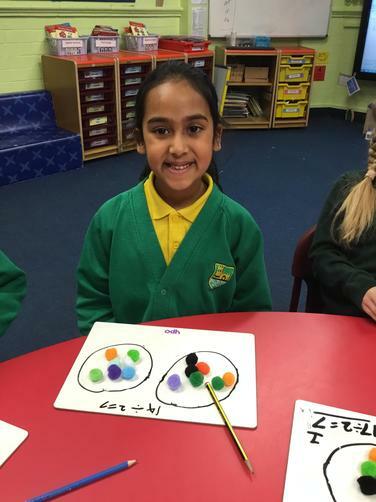 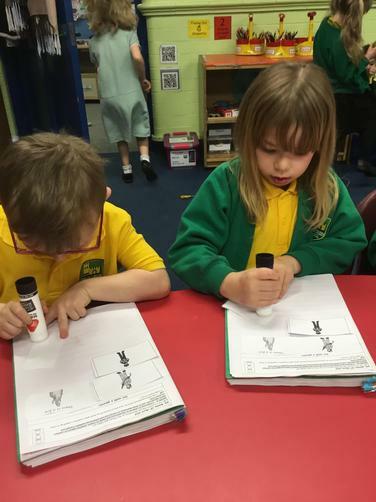 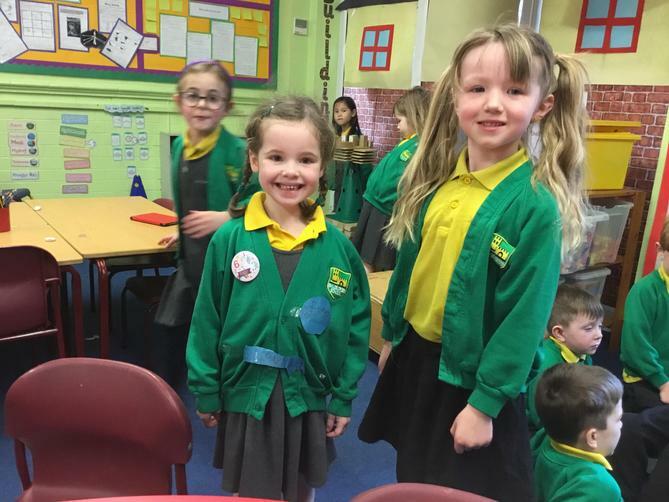 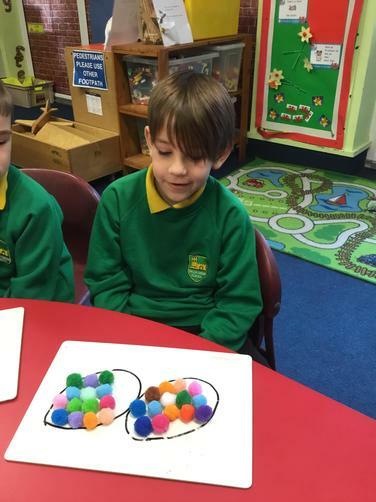 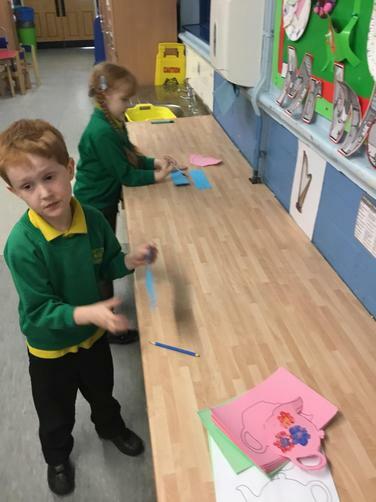 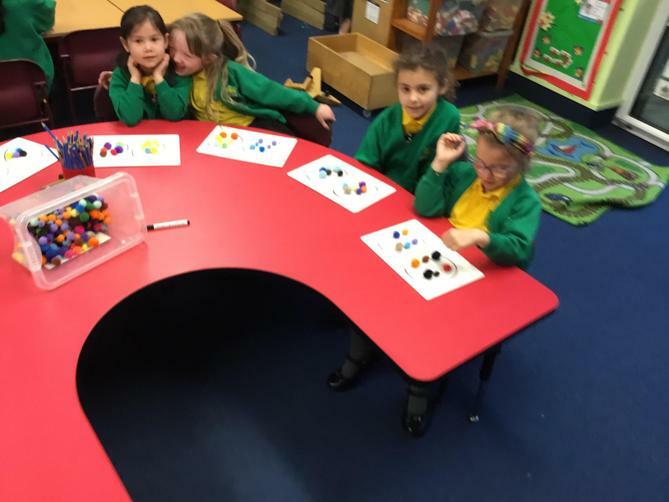 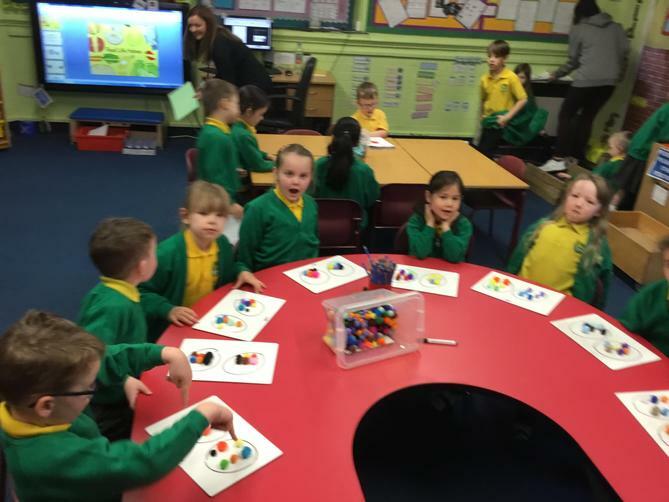 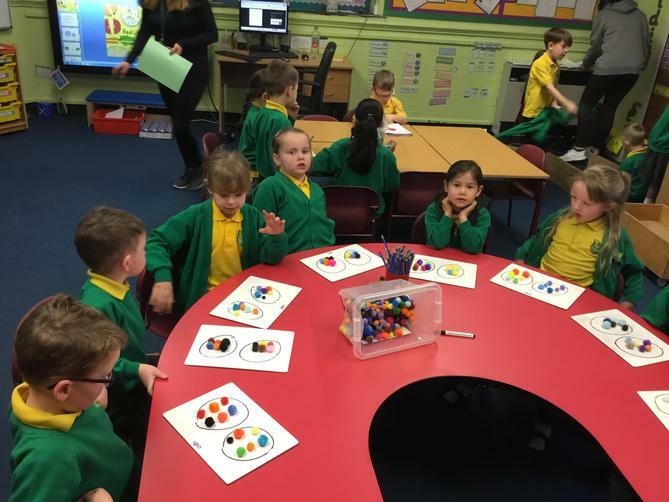 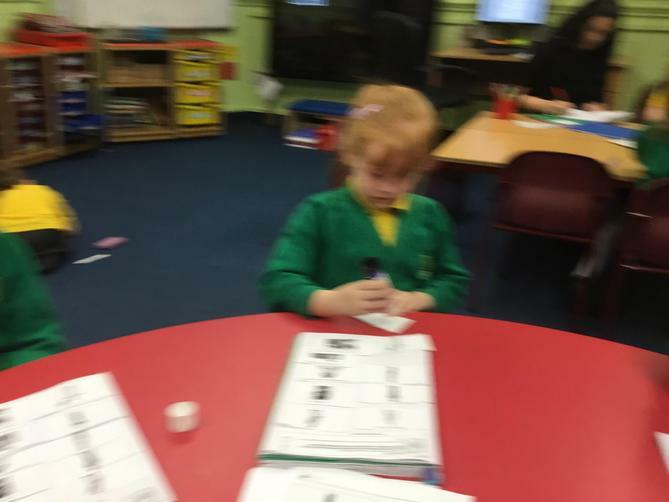 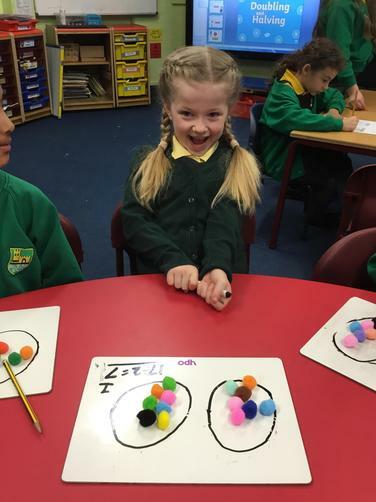 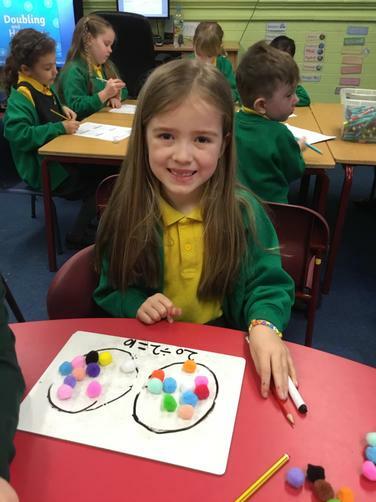 This week we have been learning about halving, we have halved numbers and objects. 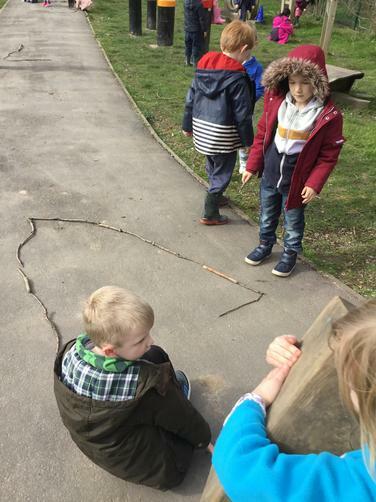 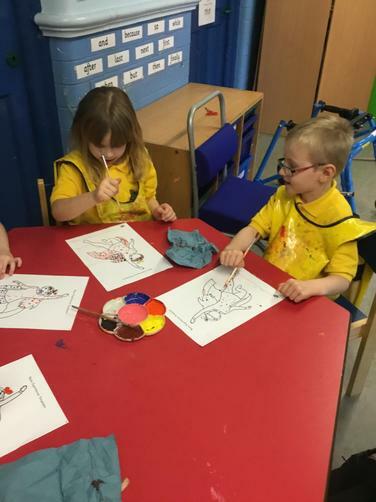 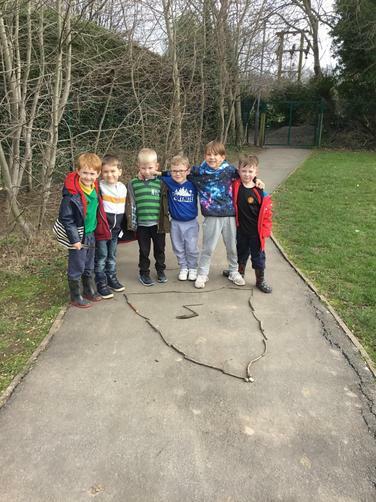 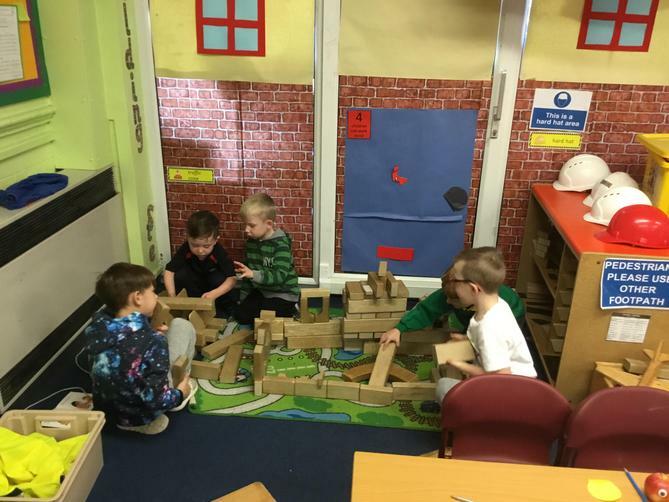 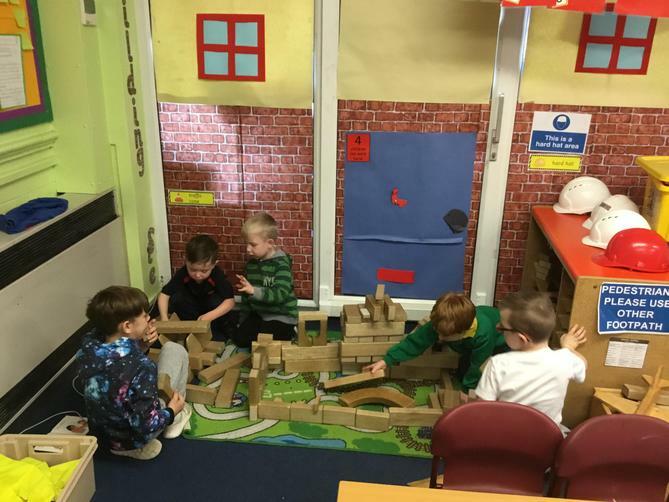 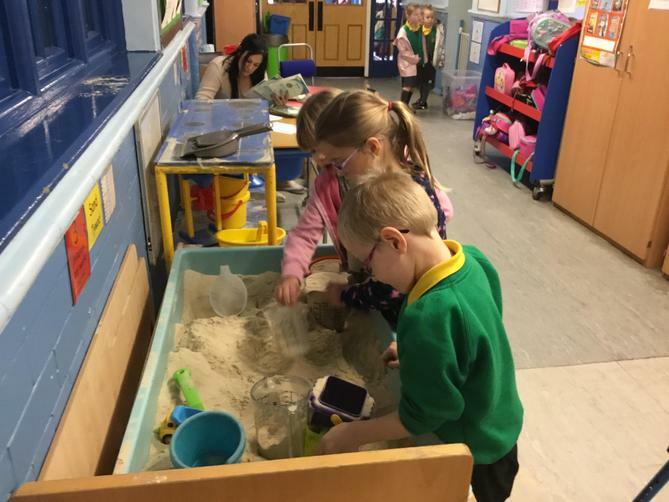 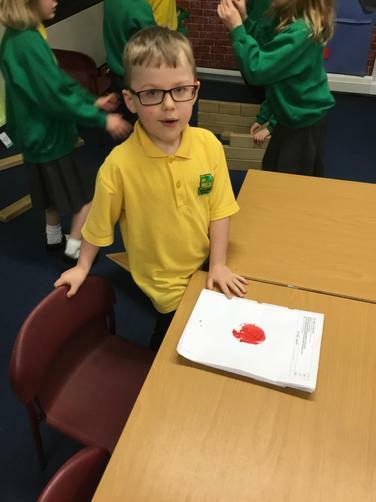 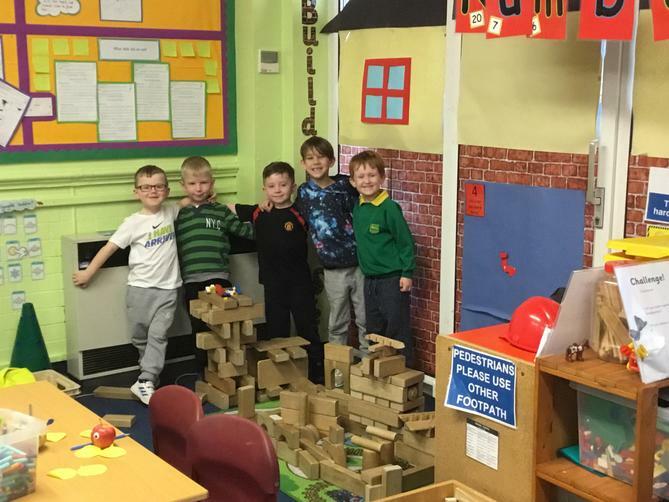 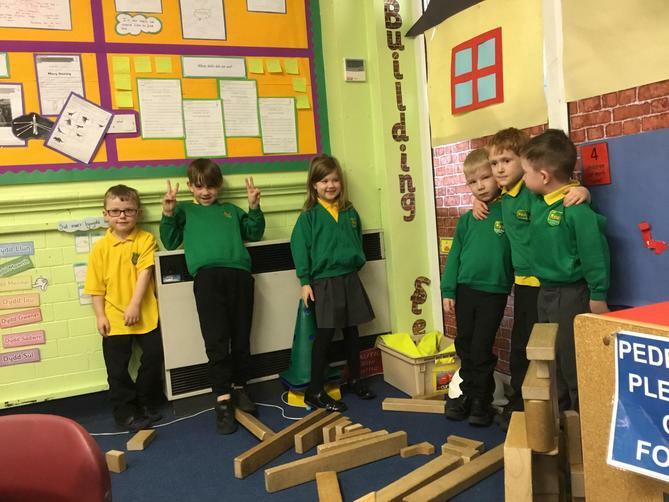 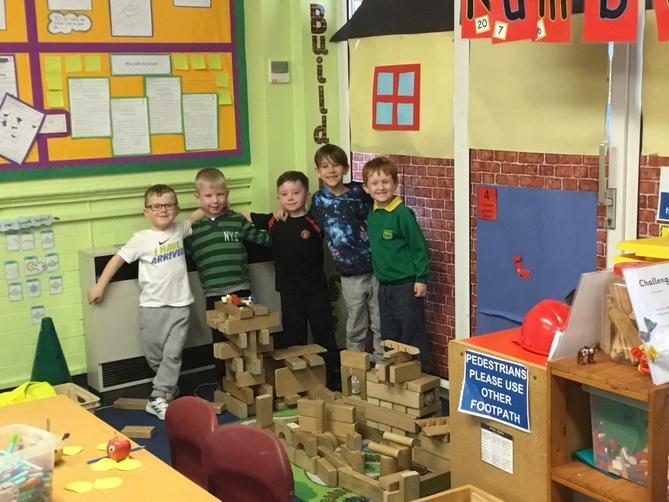 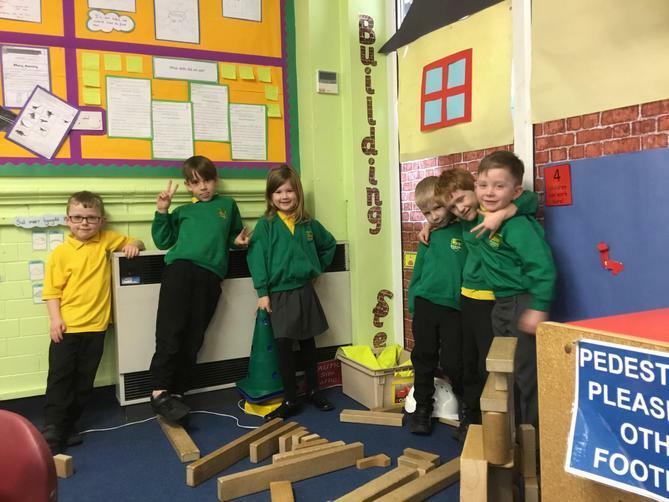 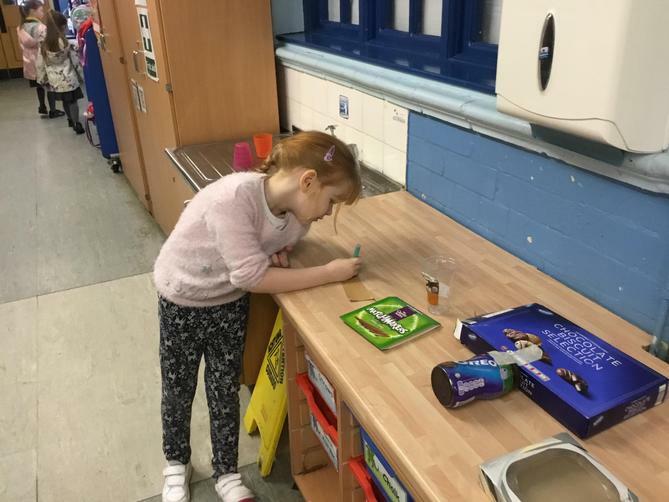 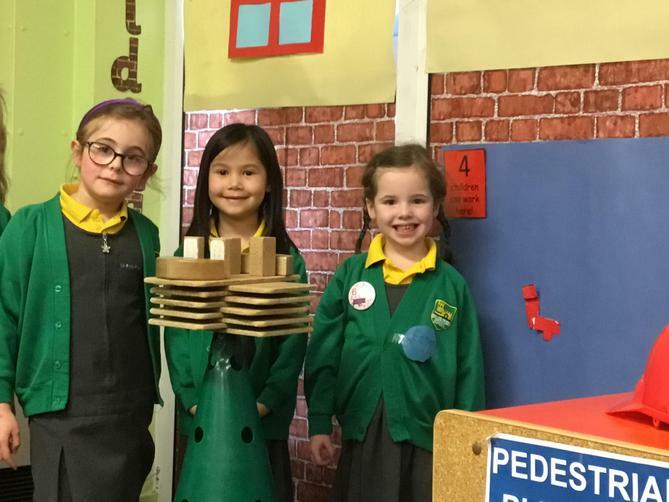 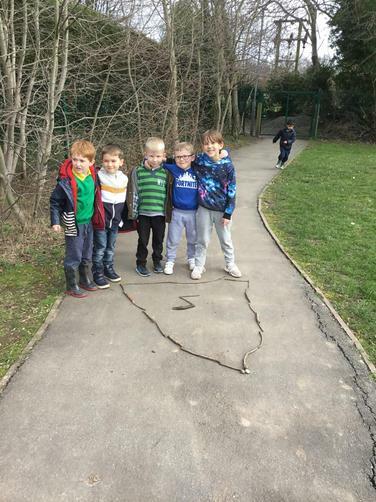 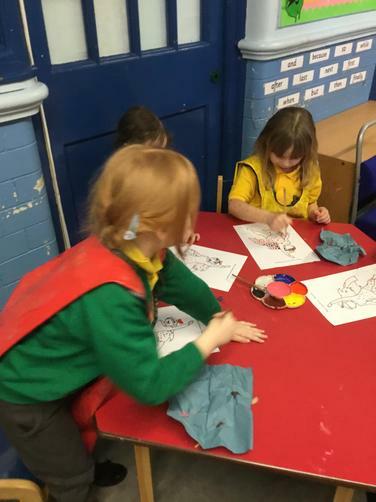 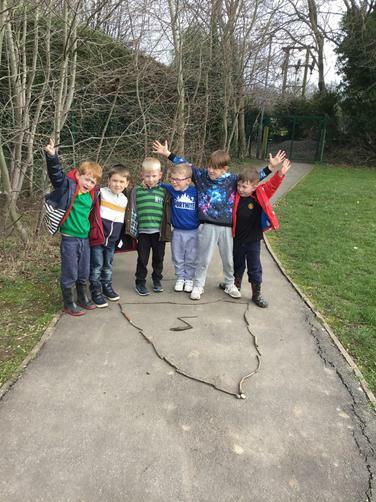 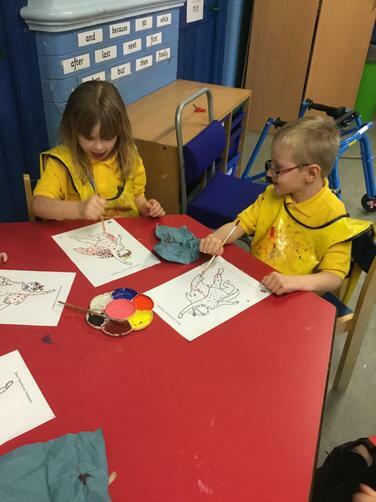 We have used different things to help us and the children worked really hard on this. 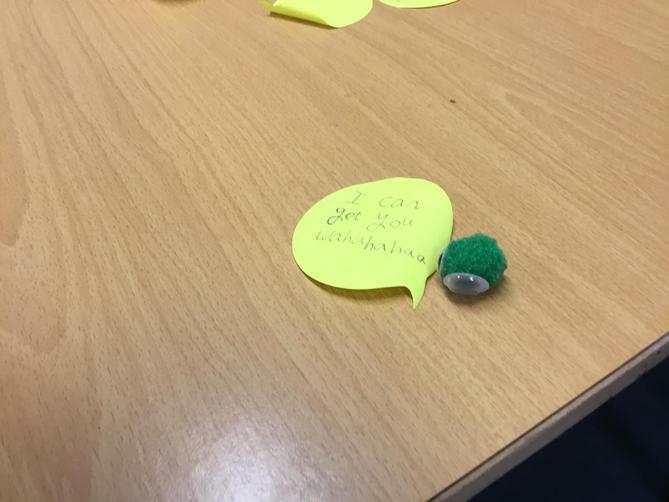 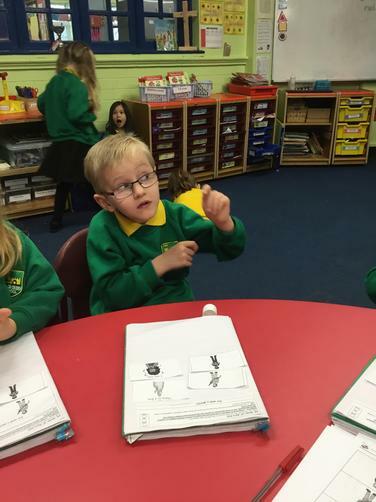 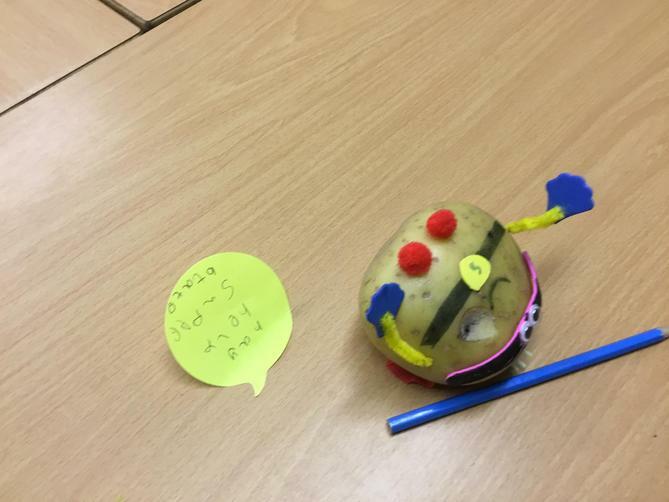 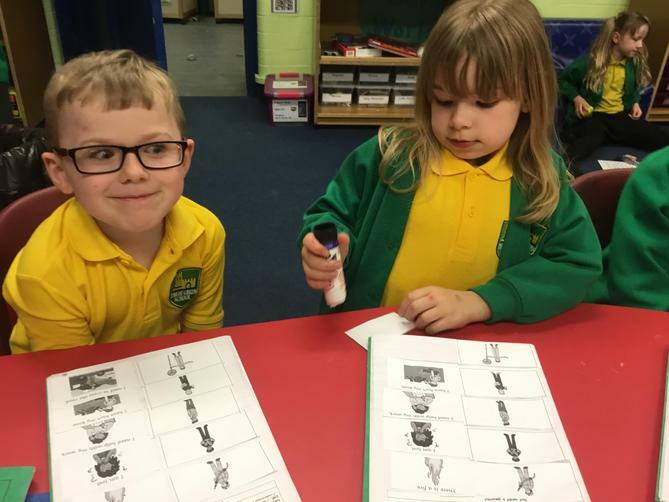 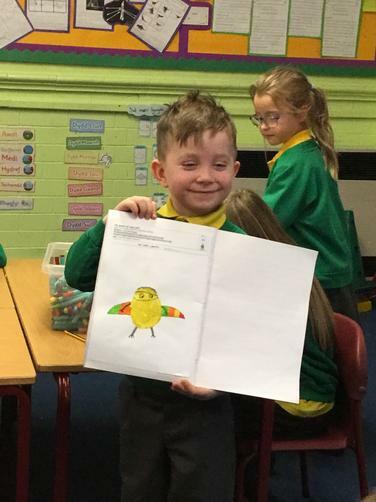 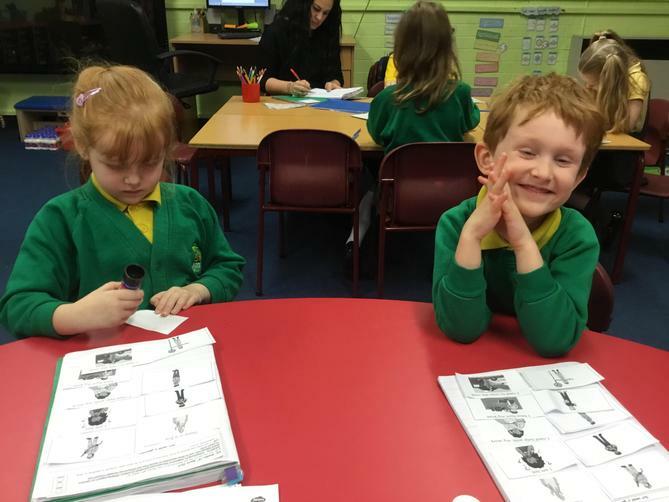 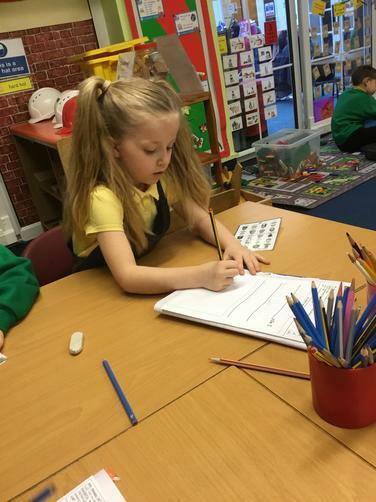 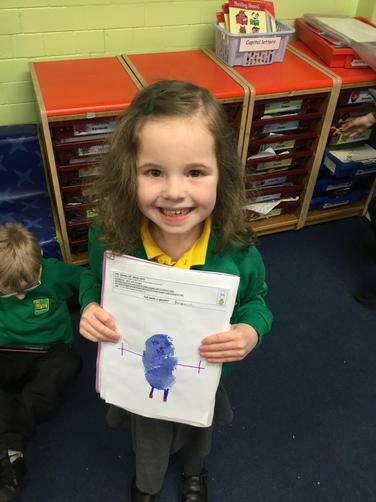 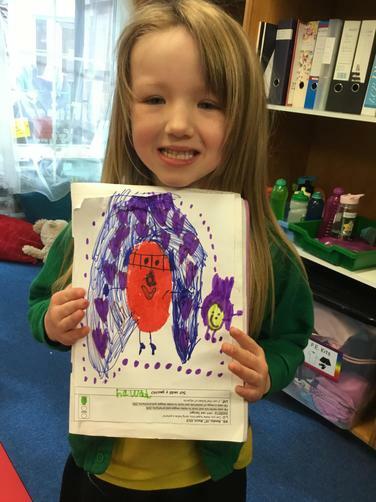 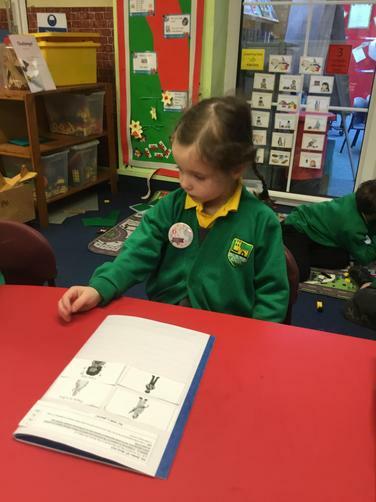 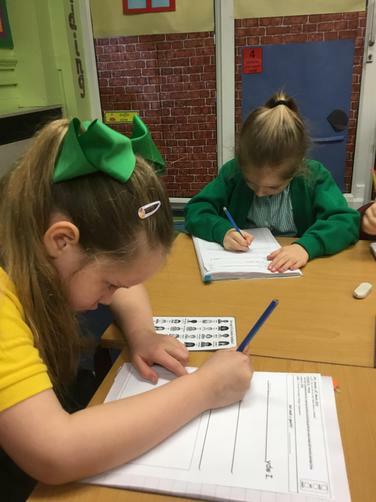 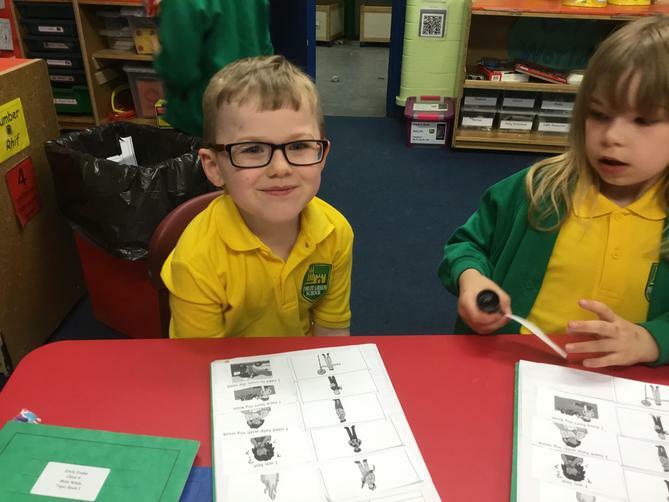 We have been learning about speech bubbles in language, as we have been looking at superhero comics, children have write their own speech bubbles for the characters. 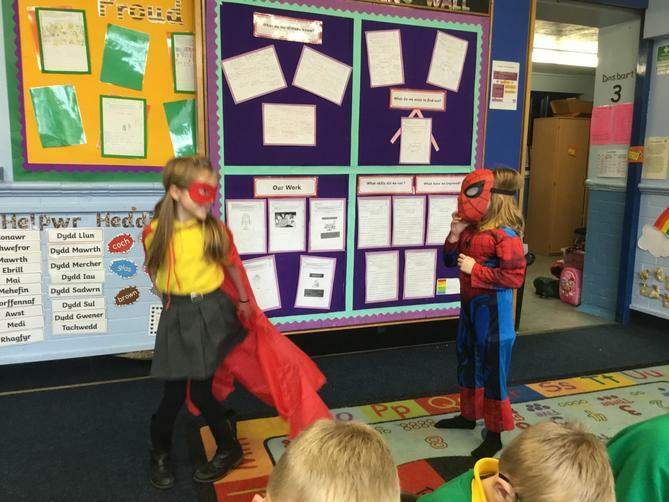 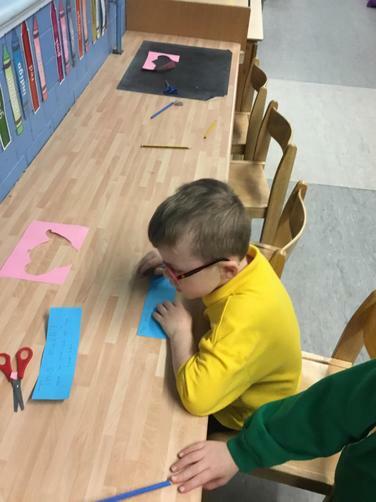 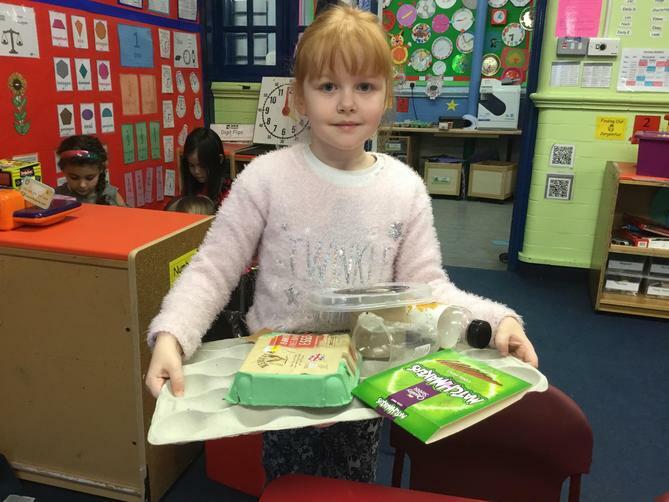 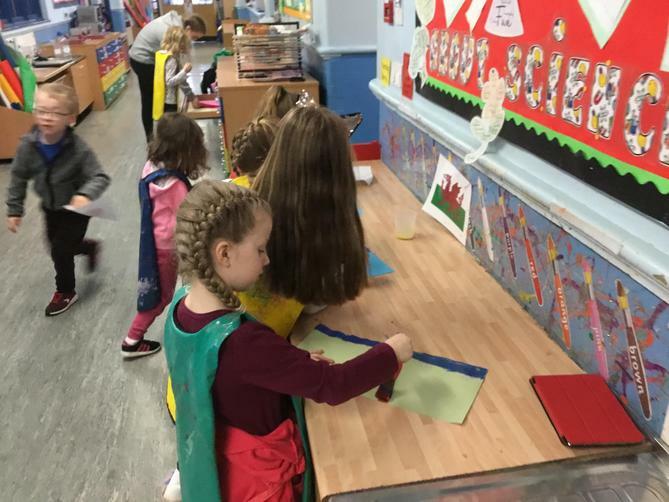 In topic we have looked at real life superheros and what they do for us, we have matched jobs to the different people like doctors, cooks and vets. 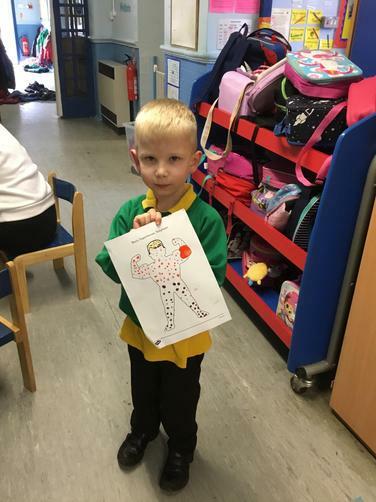 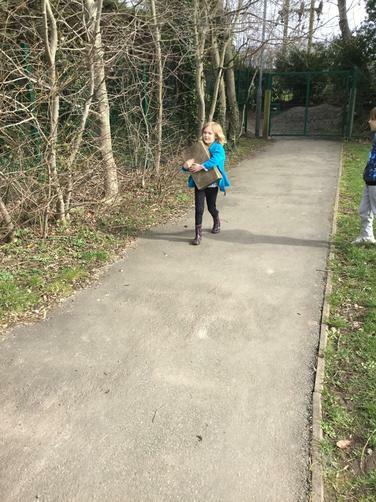 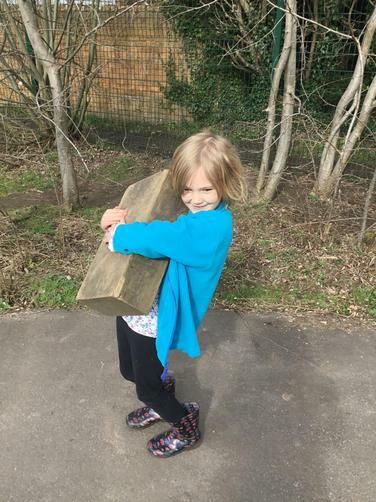 In PE we did some throwing and catching skills with beanbags, the children are aiming to play a game of rounders in the summer....so we are working towards this. 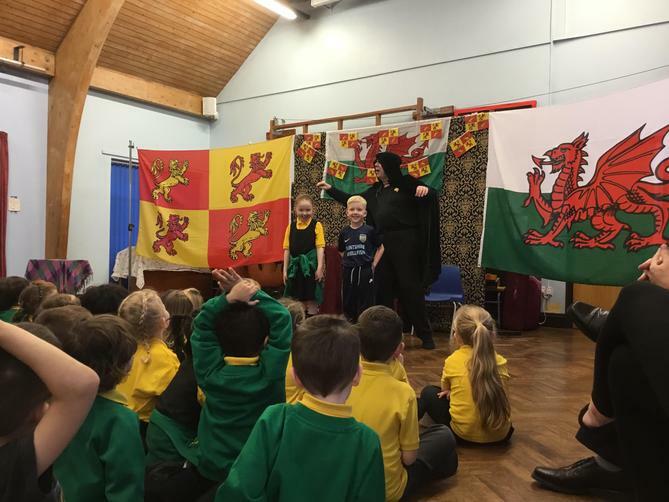 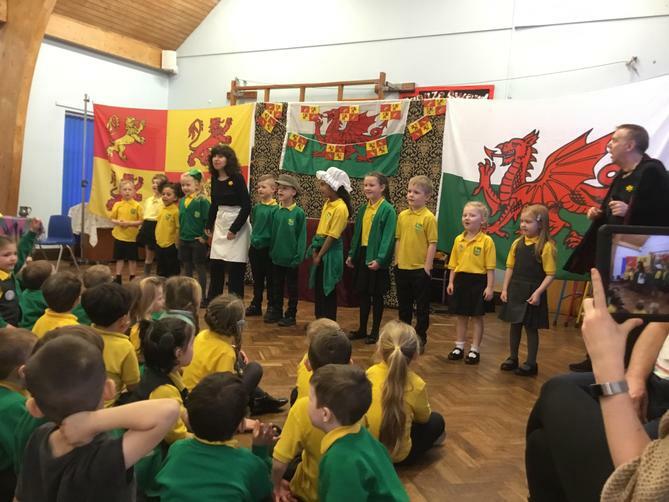 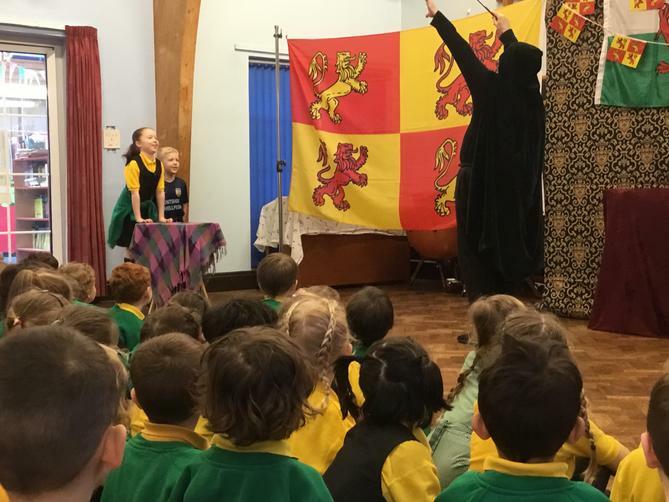 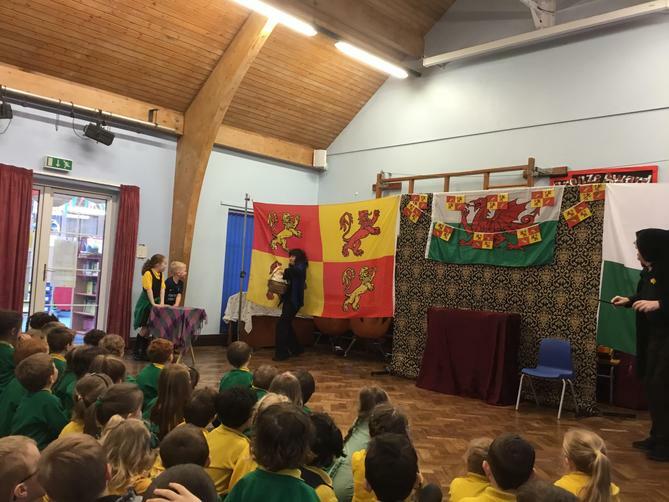 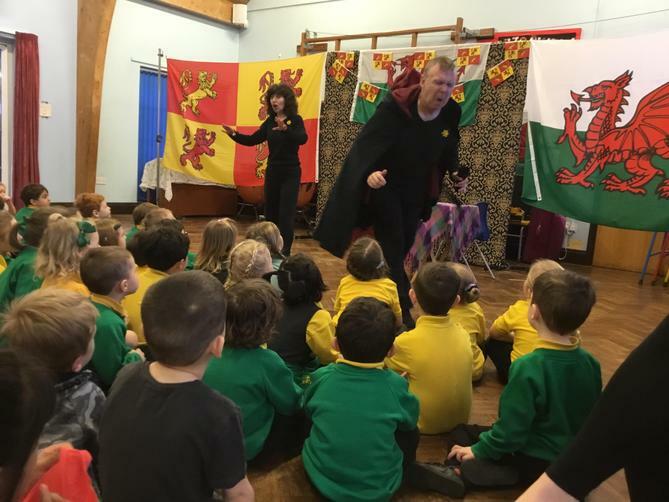 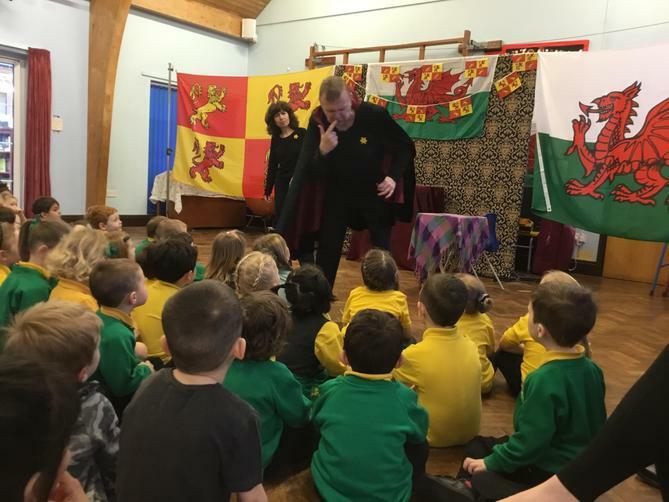 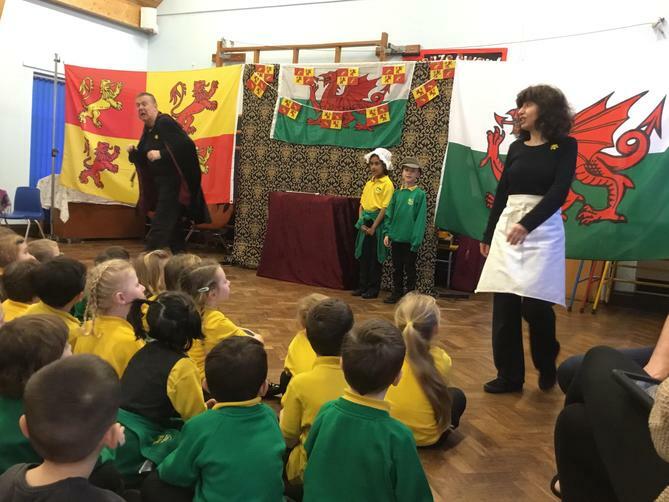 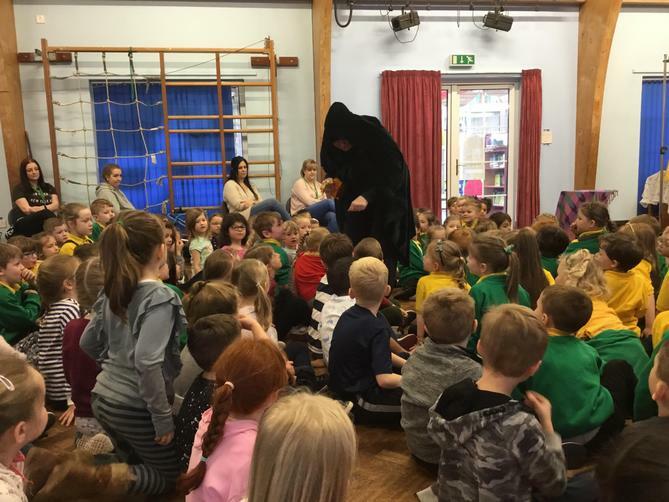 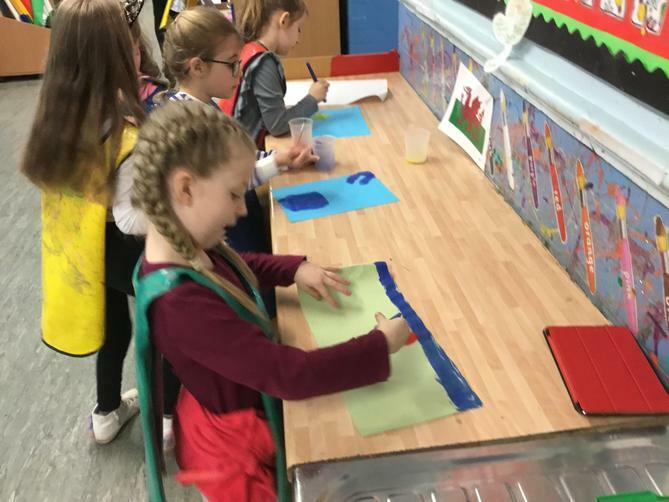 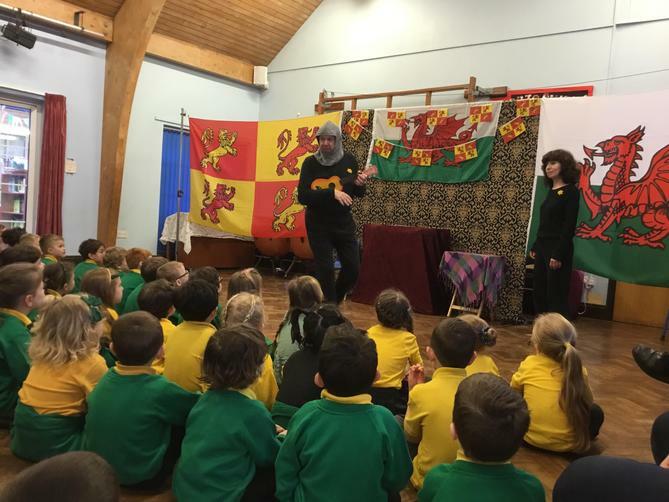 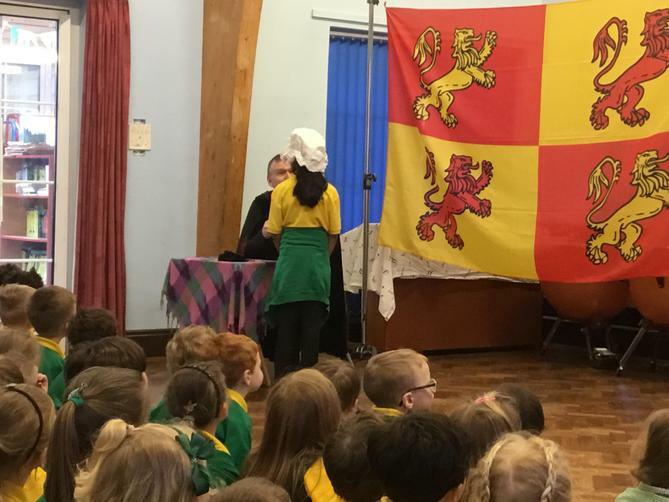 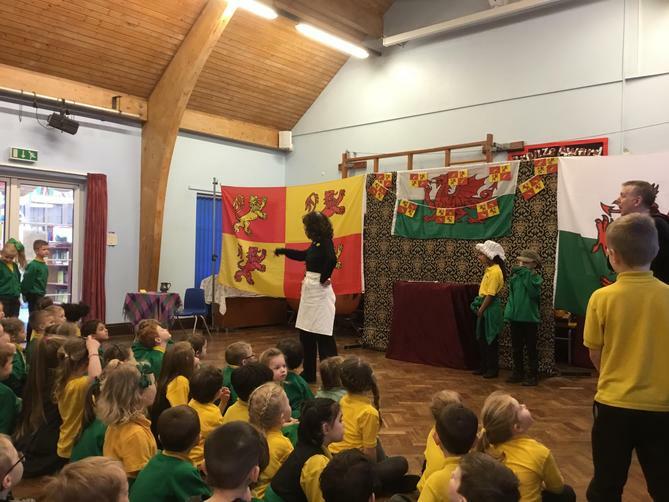 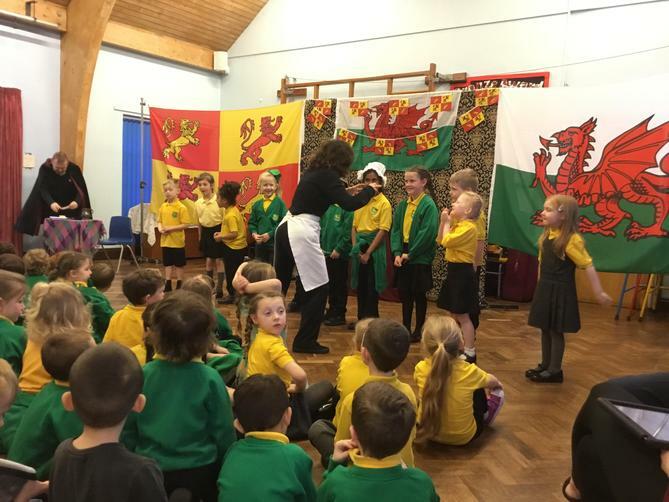 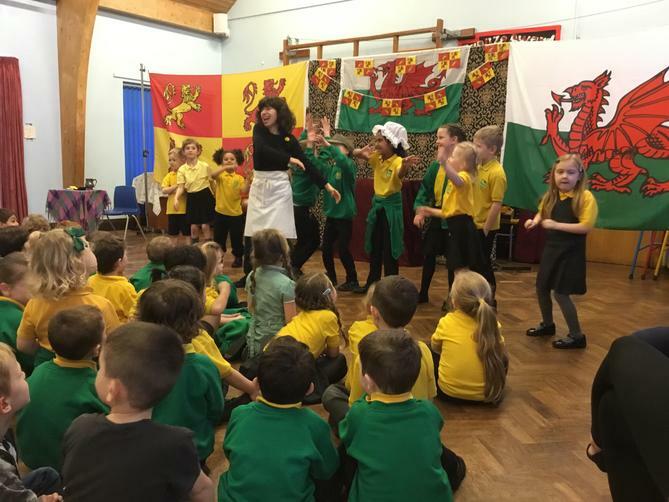 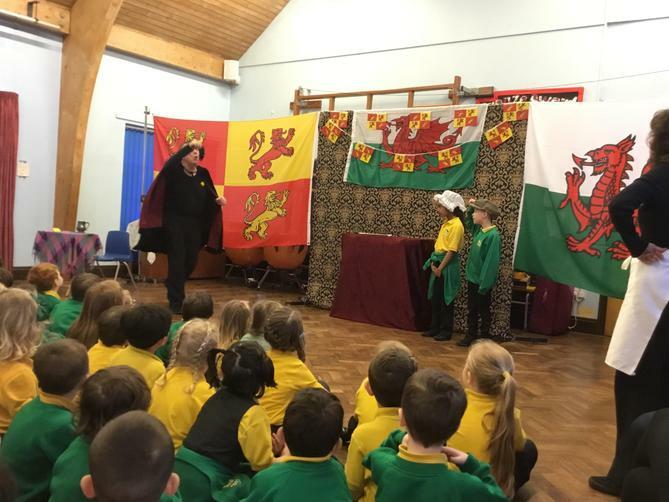 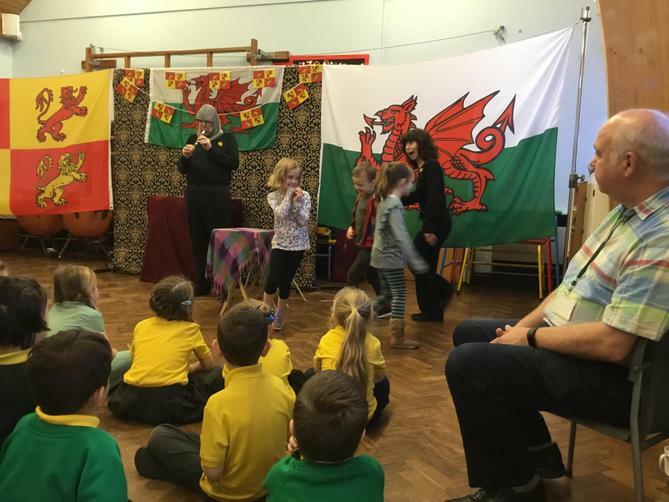 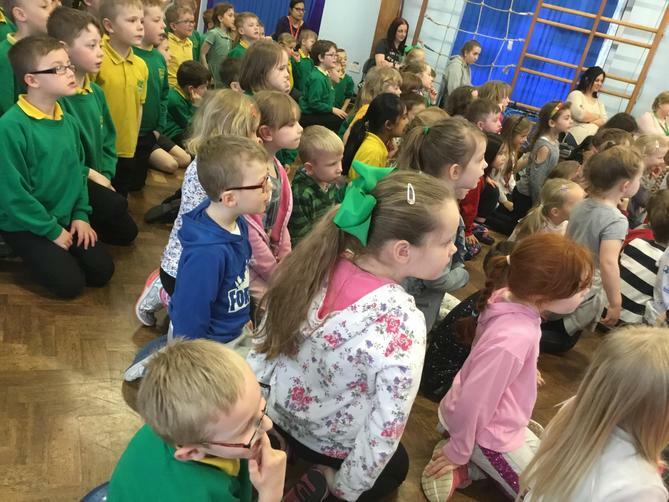 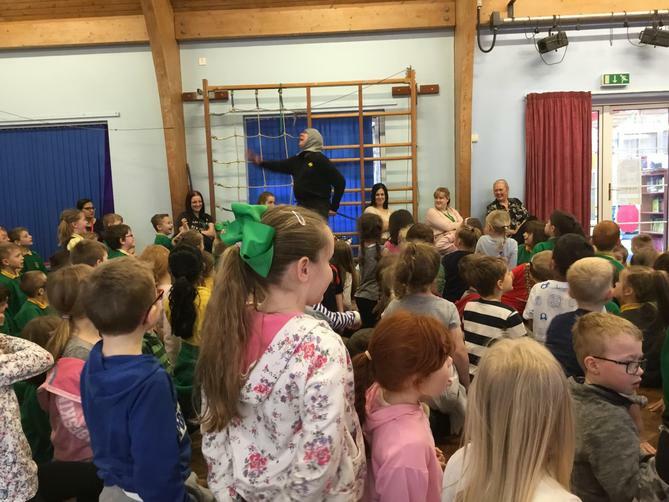 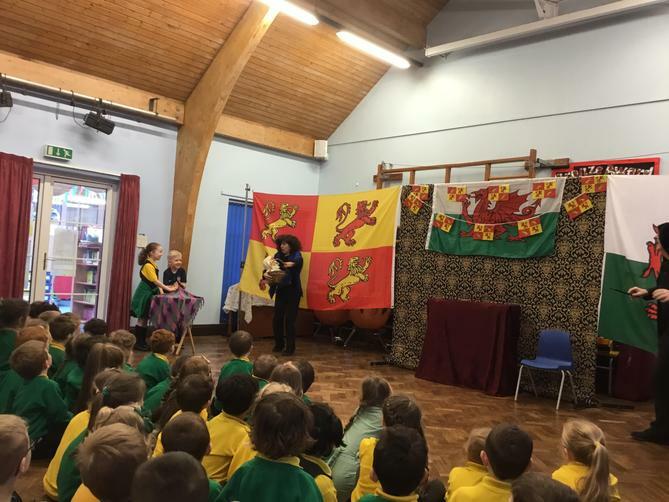 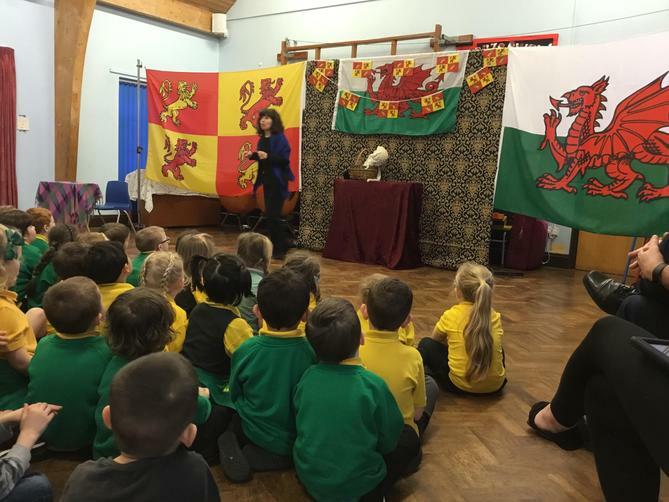 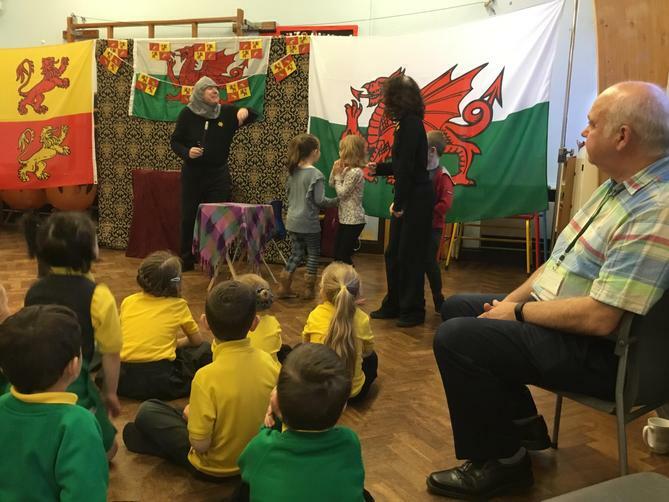 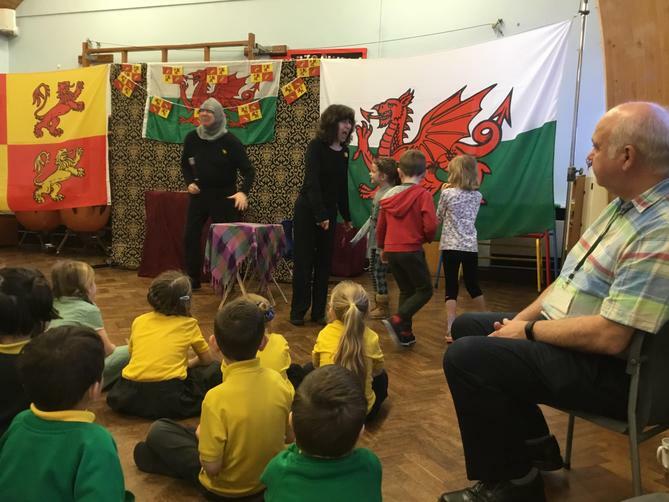 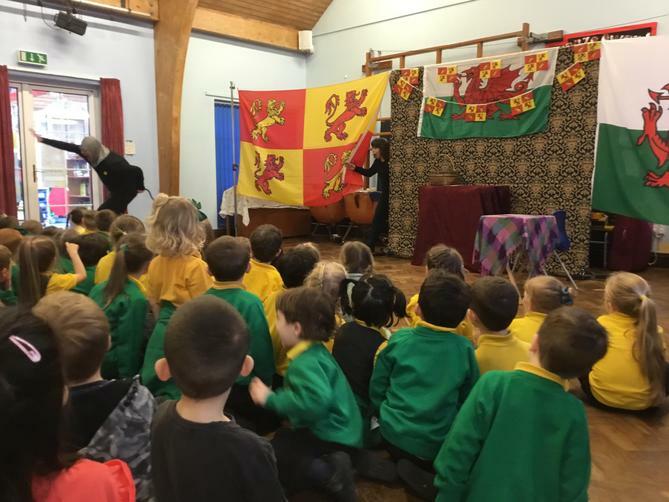 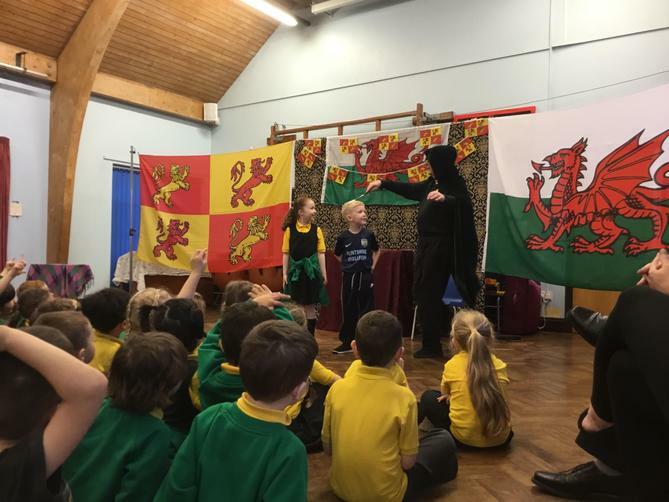 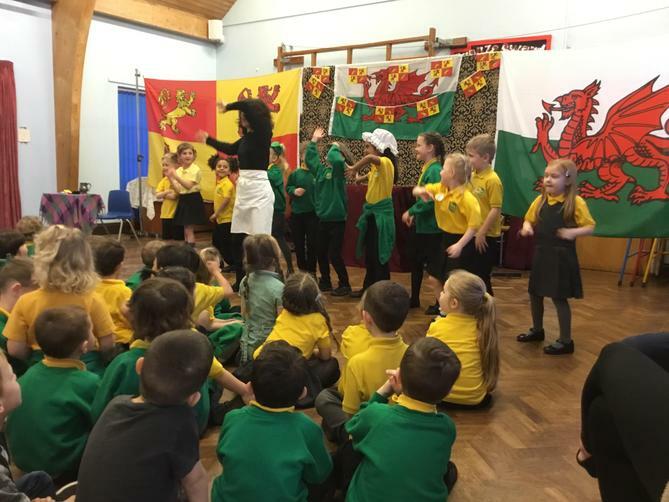 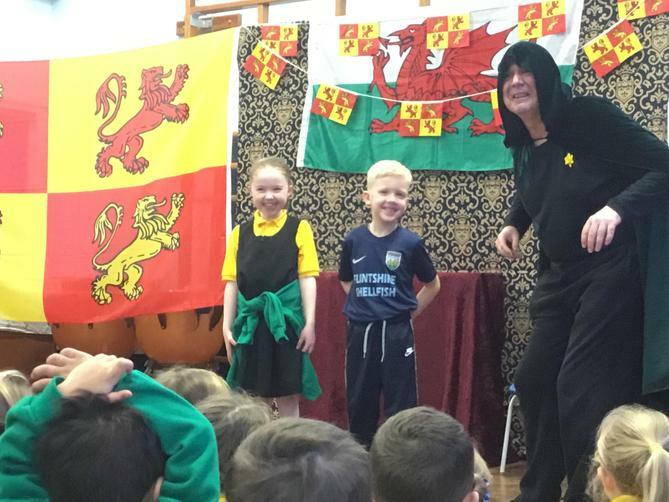 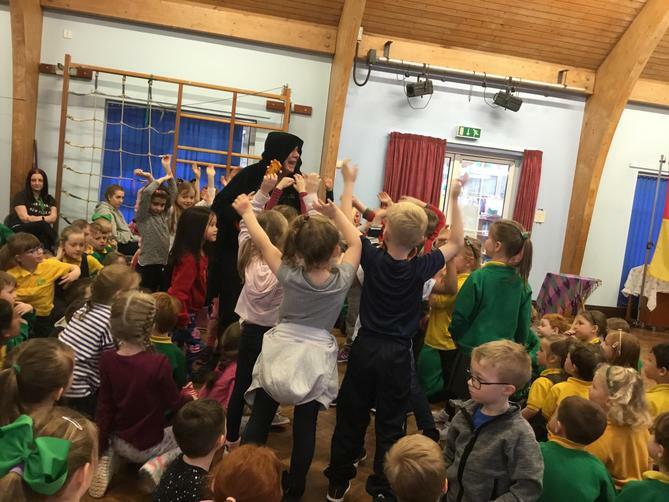 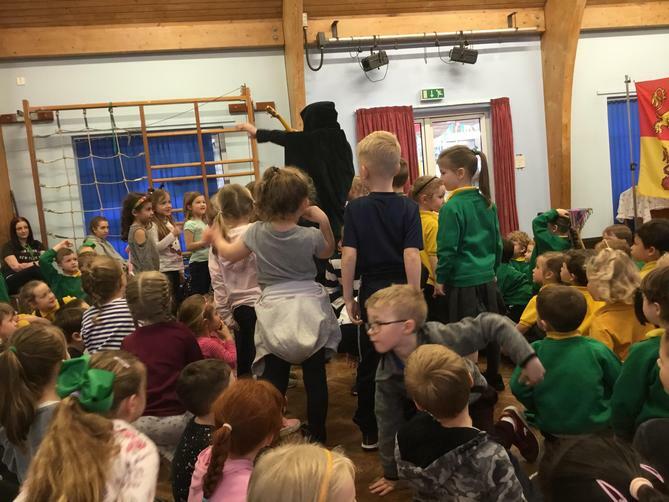 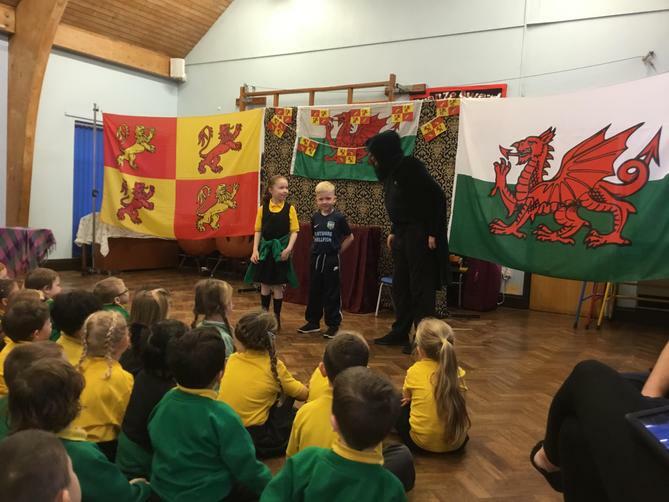 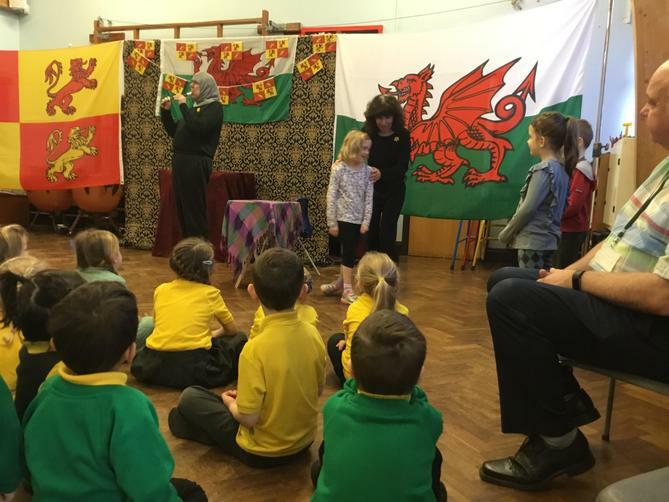 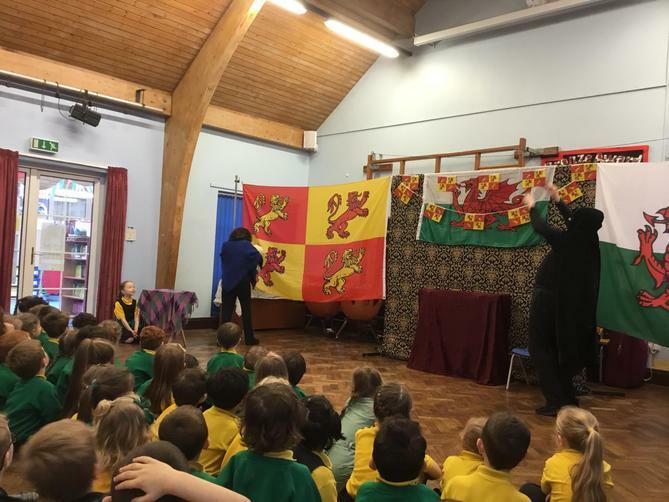 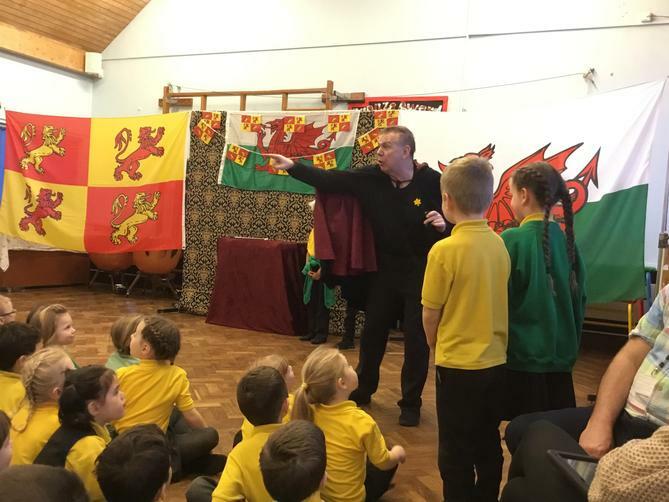 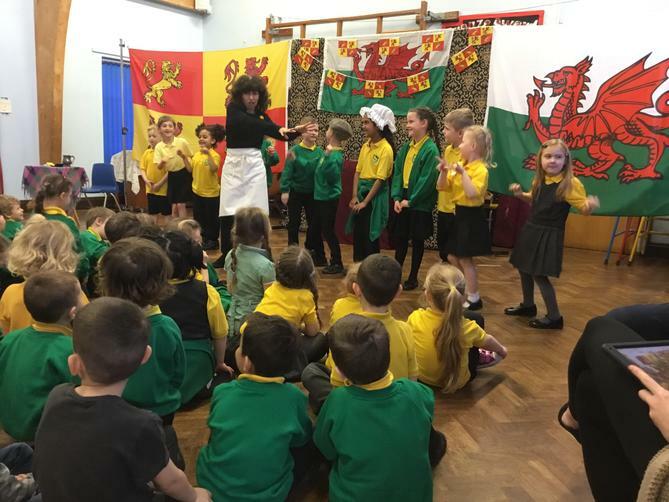 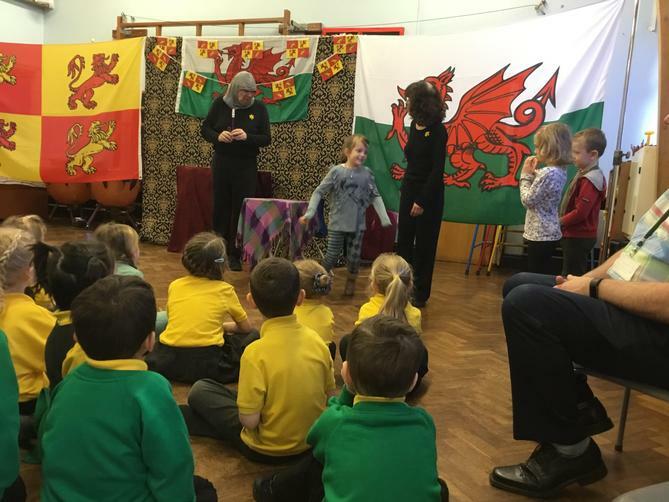 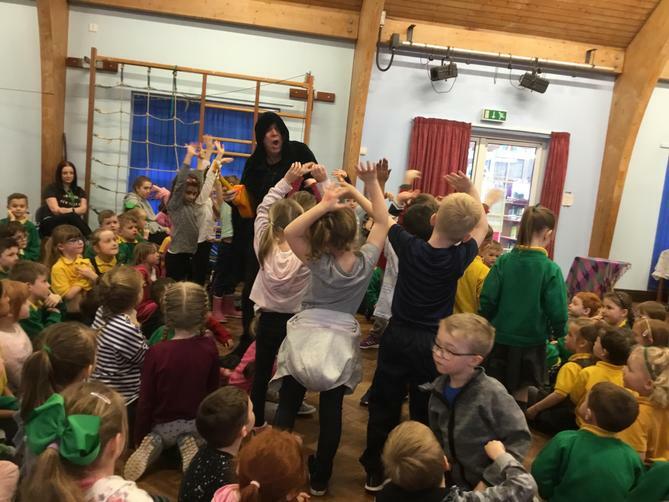 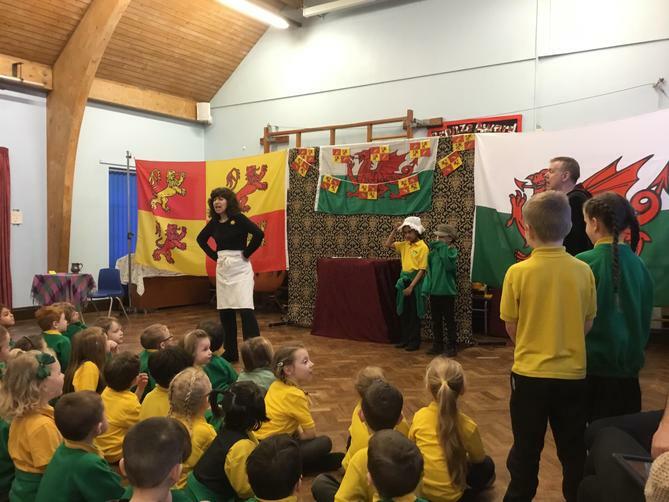 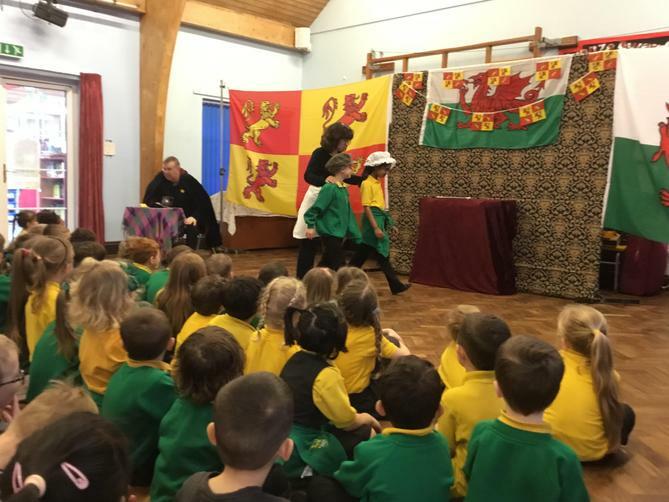 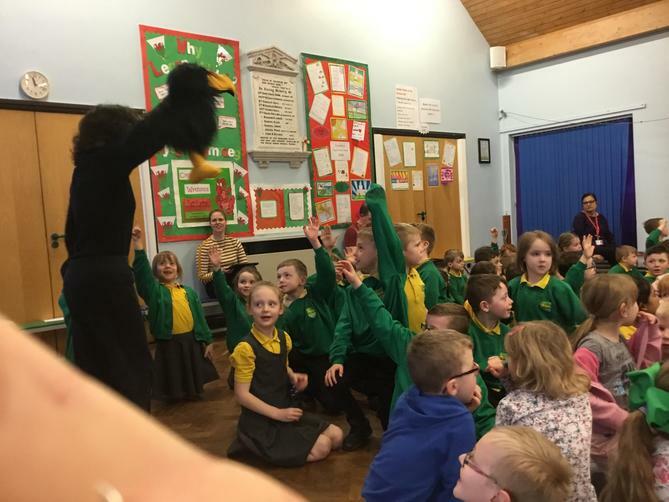 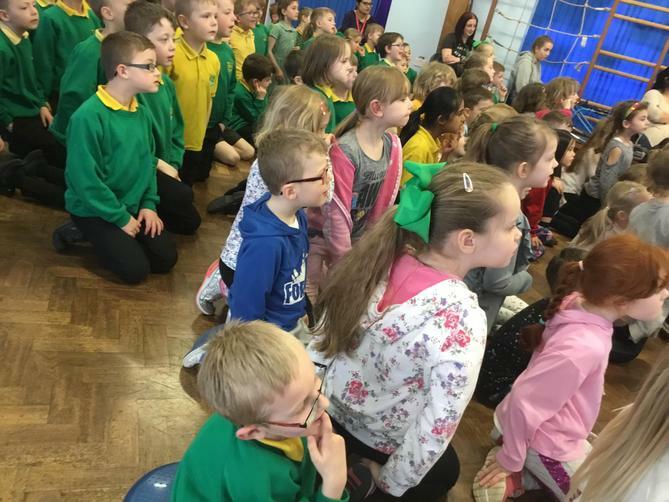 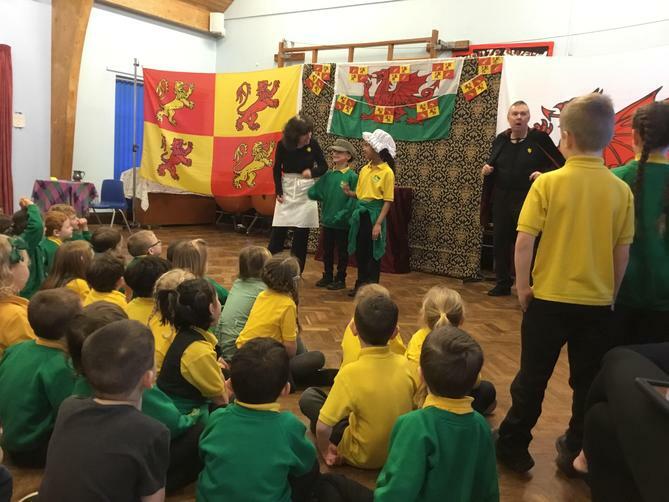 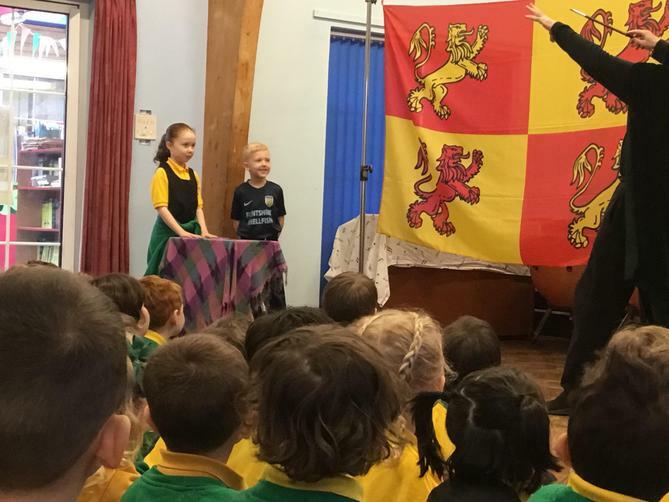 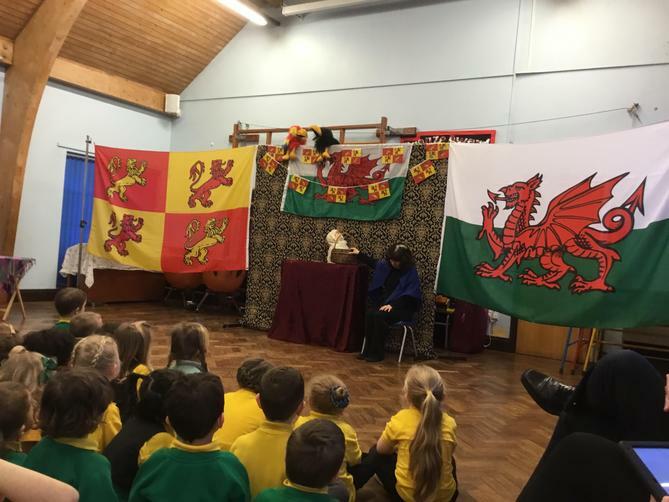 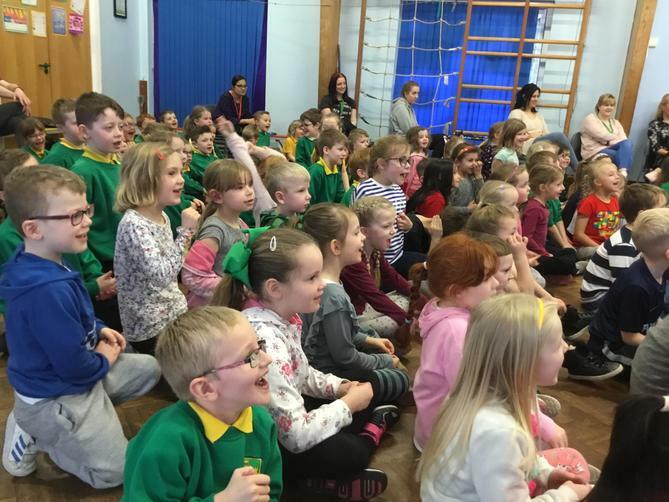 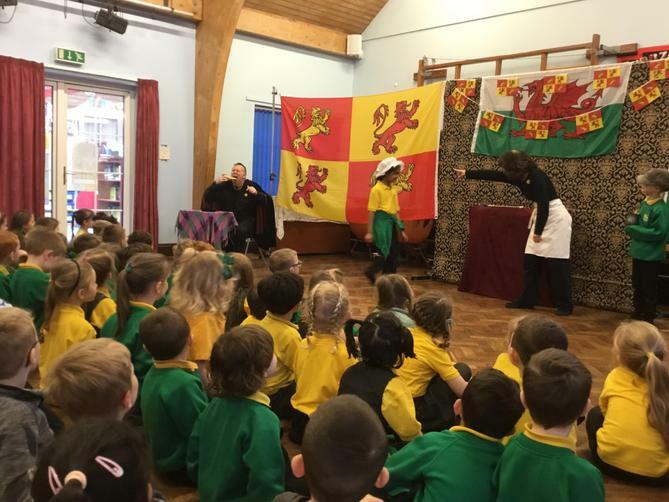 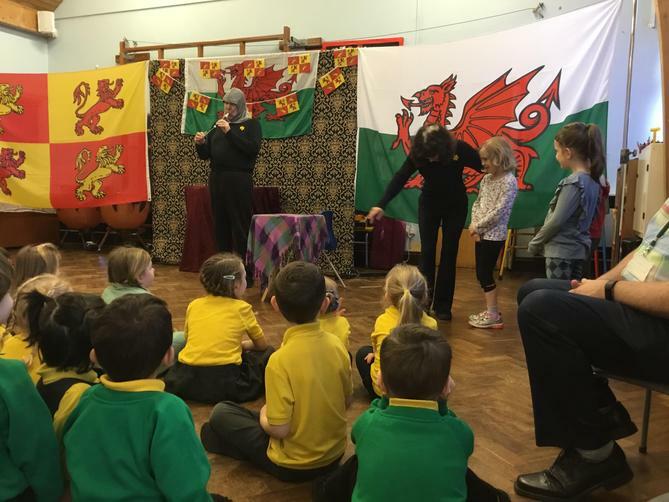 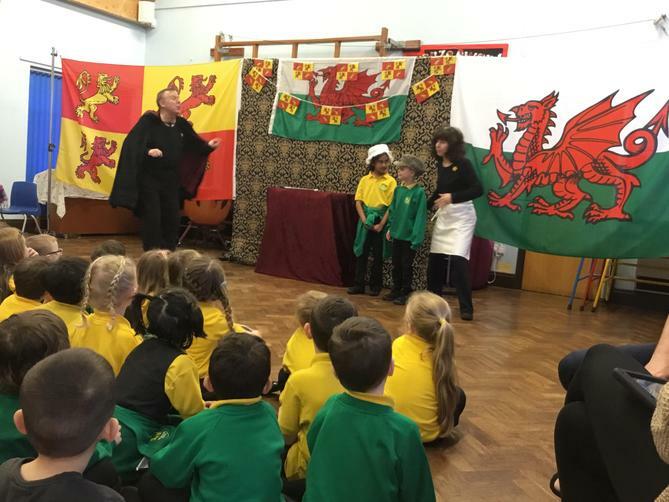 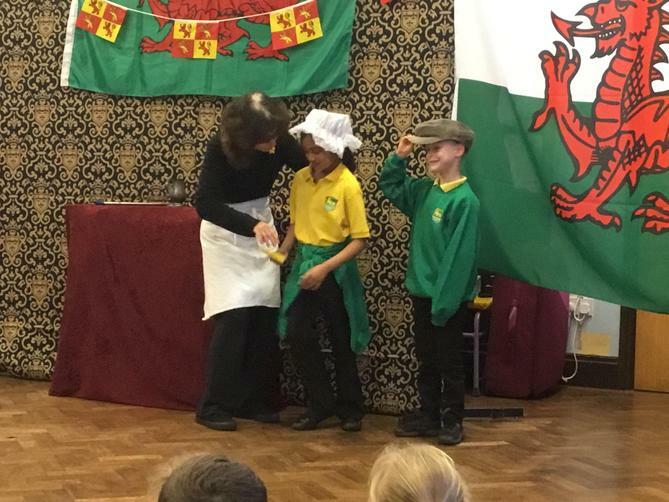 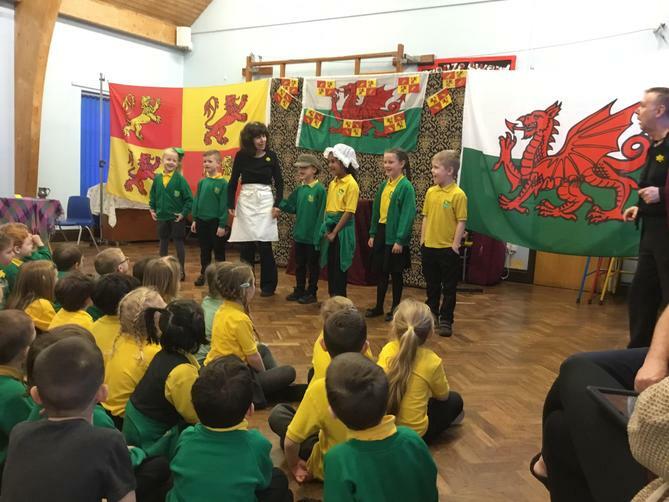 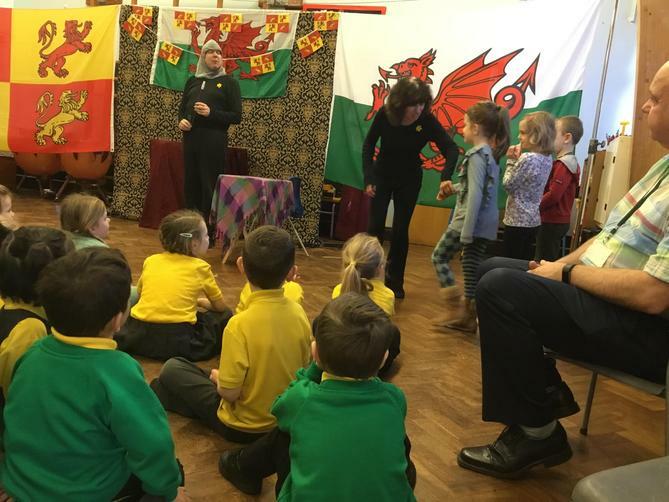 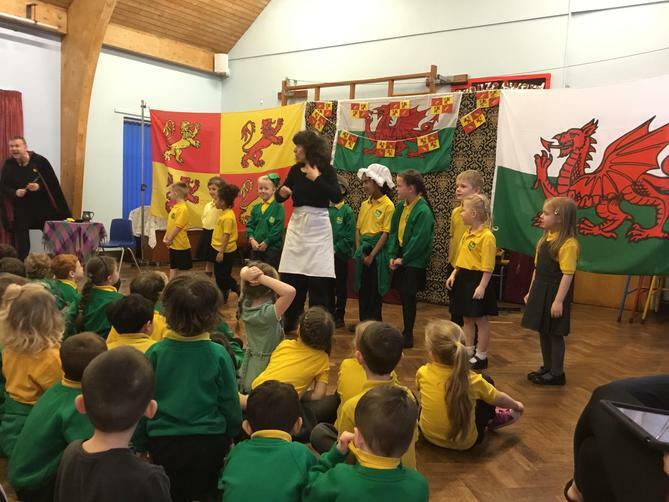 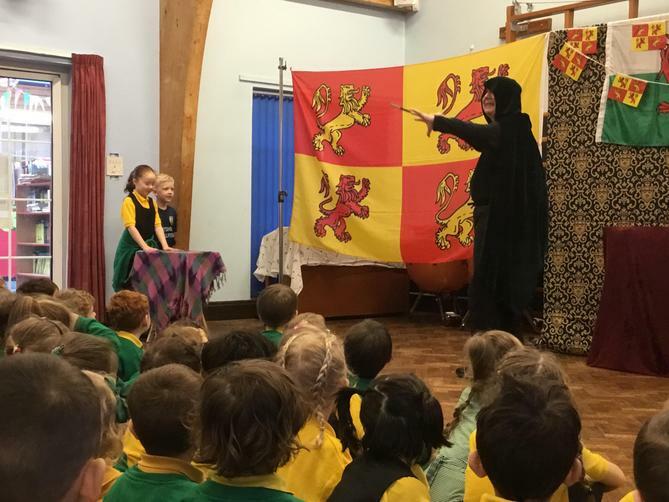 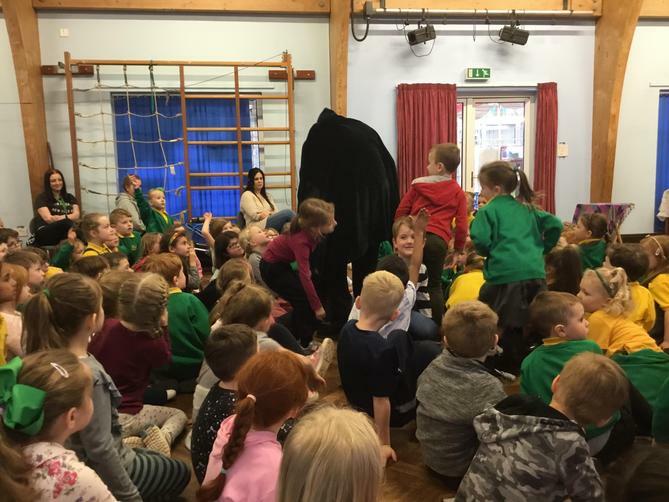 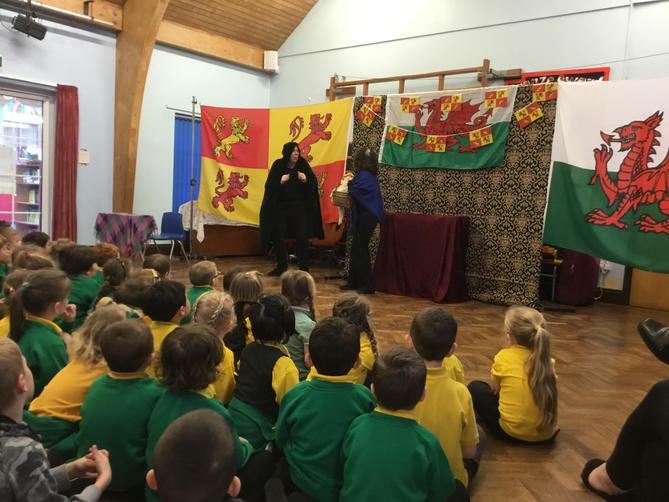 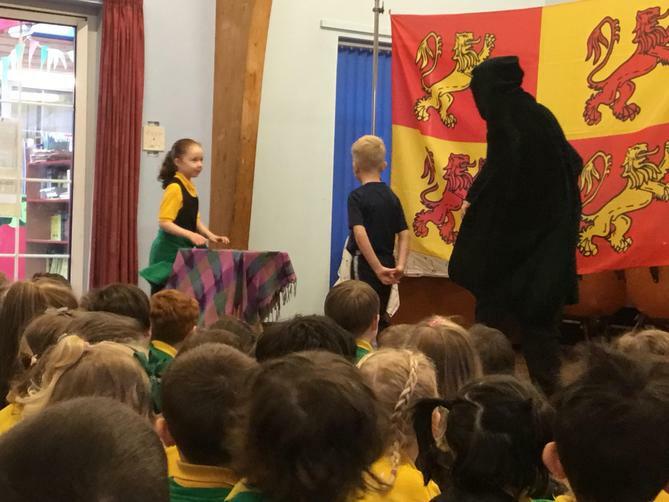 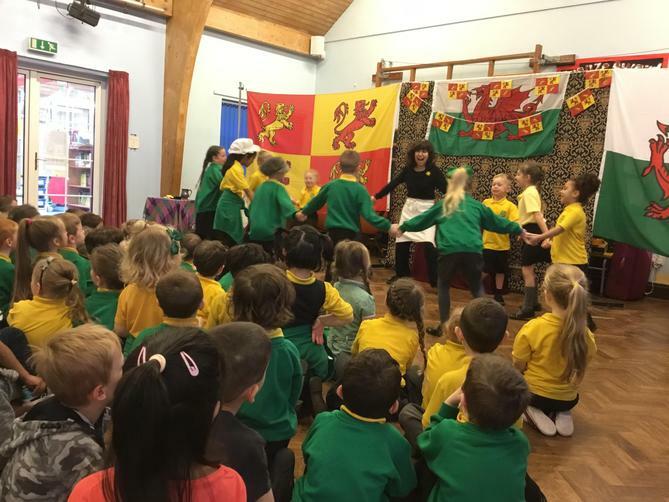 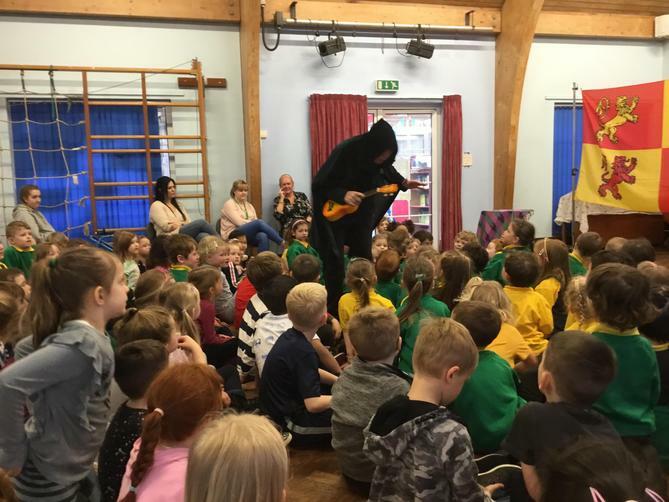 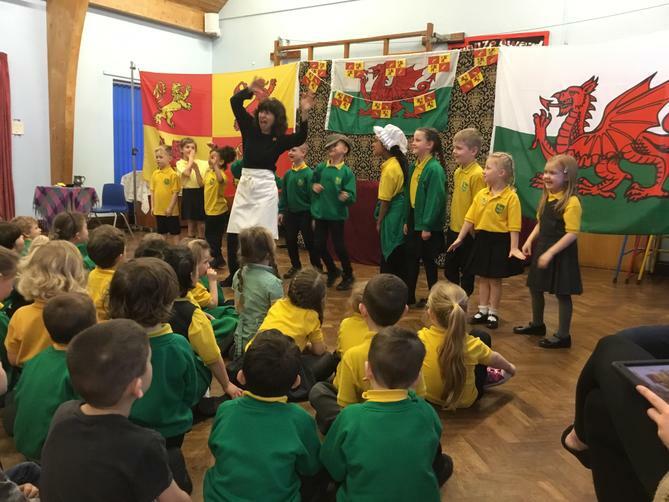 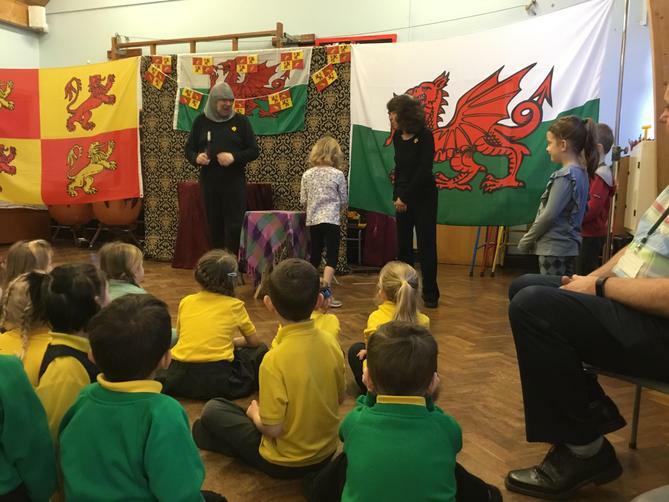 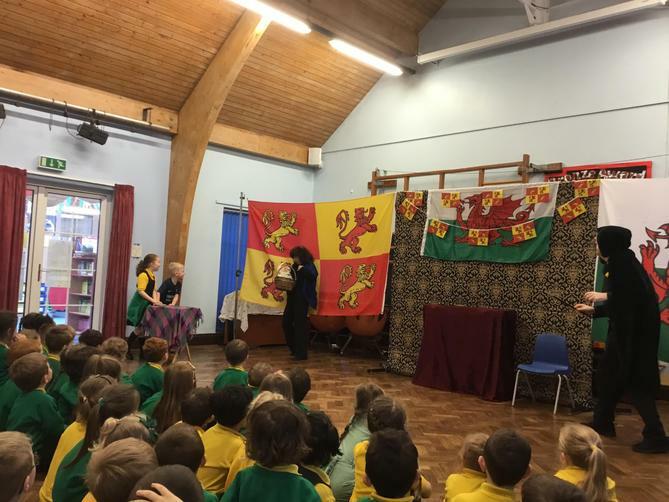 We have had a very busy week with Tales of Wales coming in and putting on a super star show again, the children loved it! 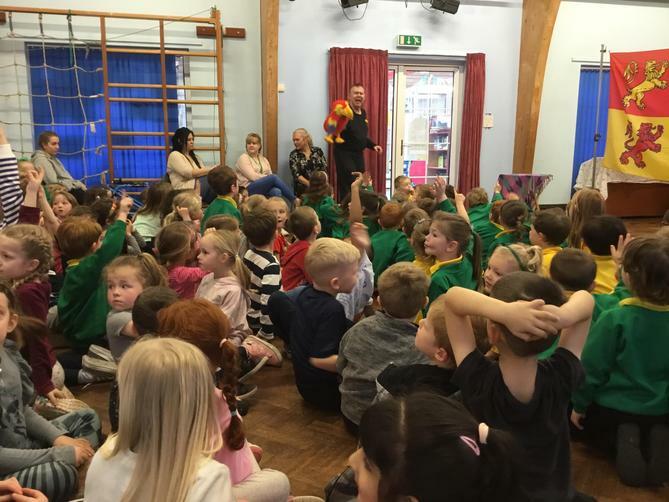 We had a talk from a charity that help children in less fortunate places around the world. 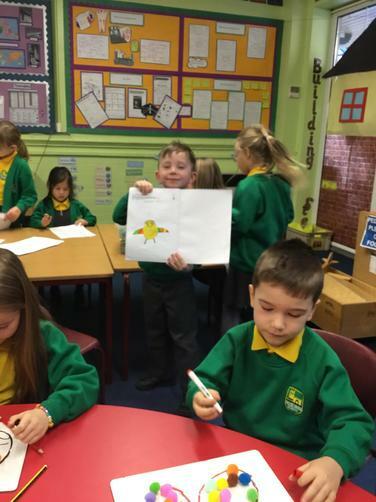 This made the children think about how we can help and next week we are doing a poster ready for some things we can do to help. 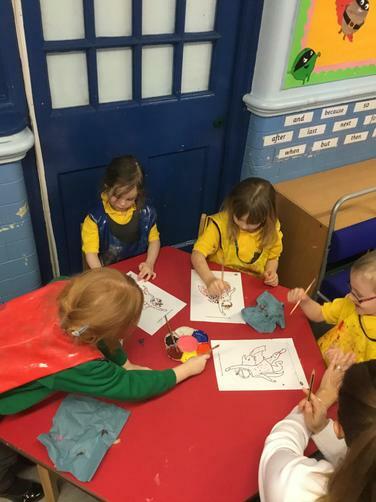 Next week we are very excited to hopefully have a visit from the fire service to tell us about what they do and show us the fire engine etc. 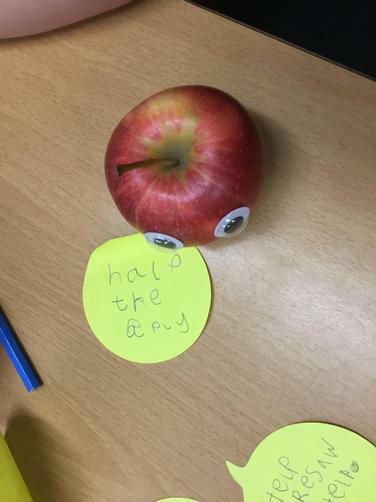 This will be on Monday as long as they do not get called out to an emergency. 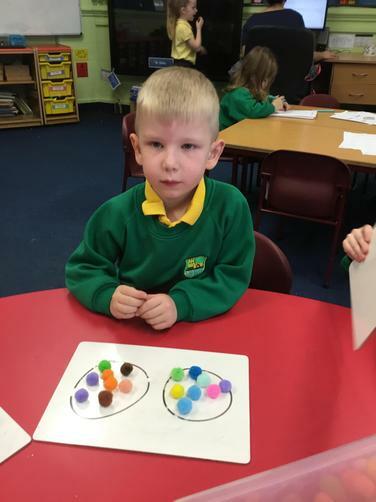 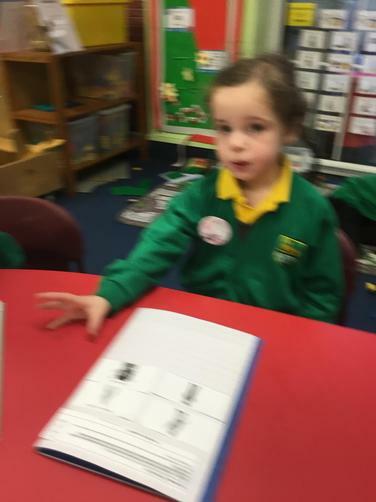 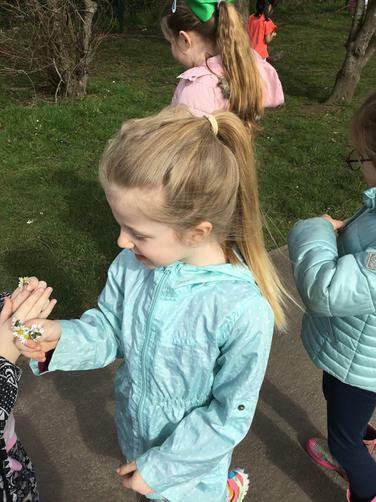 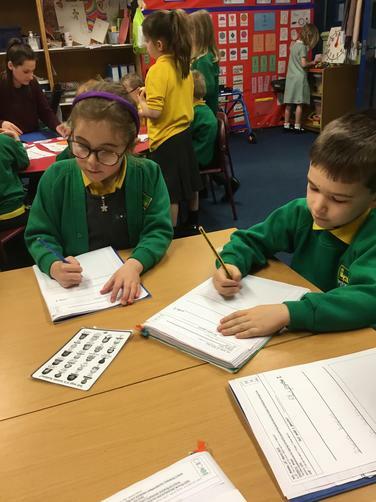 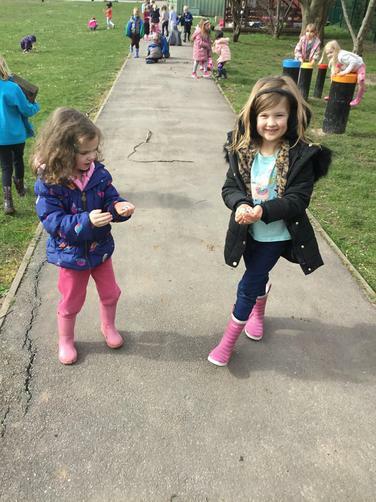 In maths we will be learning about money, having a look at coins and paying for items. 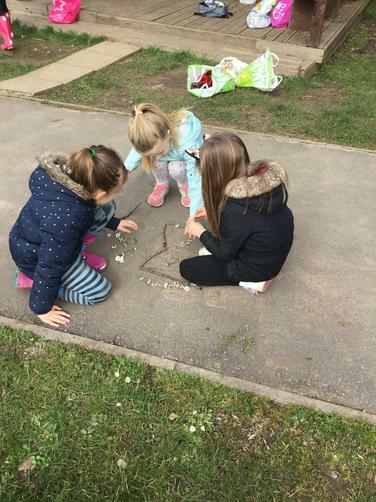 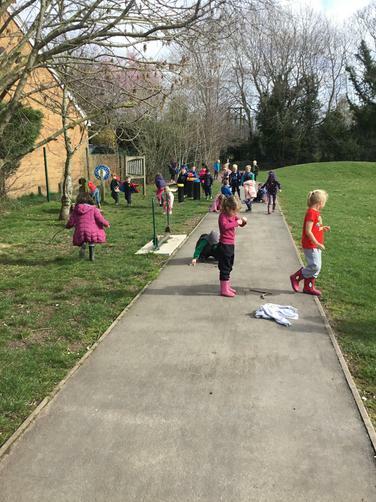 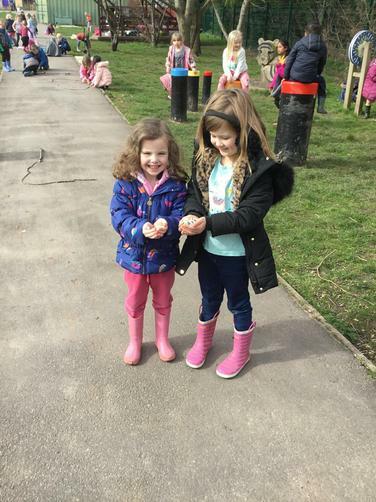 We will be doing some fun activities outside, involving water balloons, buckets and races! 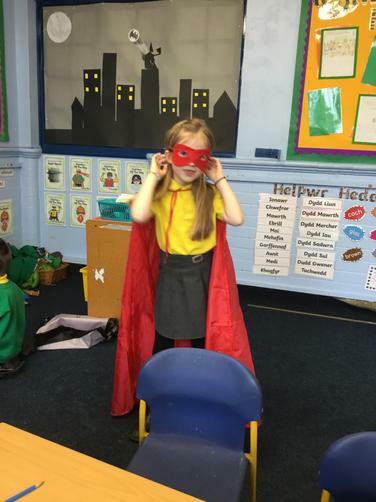 We will be writing about different superheros in language, and making our own comic books on the ipad.